As friends, the boisterous and brash American Beryl couldn’t be less alike than the prim and proper British Edwina. But as sleuths in an England recovering from the Great War, they’re the perfect match . . .
1920: Flying in the face of convention, legendary American adventuress Beryl Helliwell never fails to surprise and shock. The last thing her adoring public would expect is that she craves some peace and quiet. The humdrum hamlet of Walmsley Parva in the English countryside seems just the ticket. And, honestly, until America comes to its senses and repeals Prohibition, Beryl has no intention of returning stateside and subjecting herself to bathtub gin. For over three decades, Edwina Davenport has lived comfortably in Walmsley Parva, but the post–World War I bust has left her in dire financial straits and forced her to advertise for a lodger. 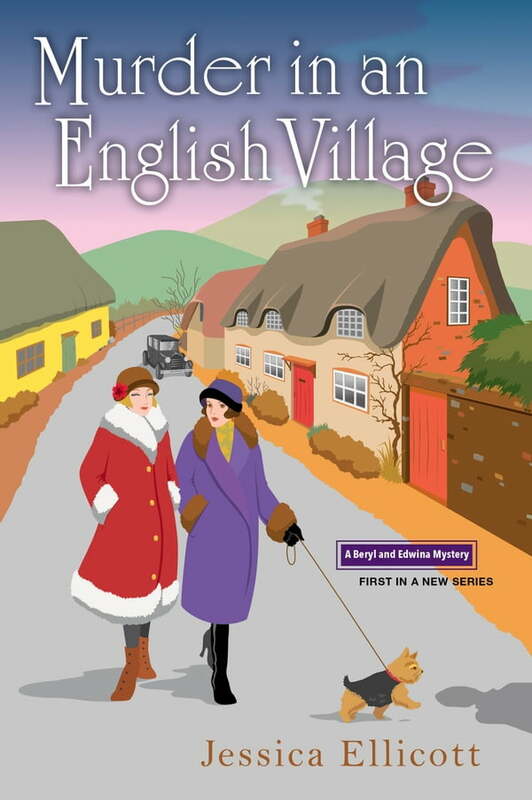 When her long-lost school chum Beryl arrives on her doorstep—actually crashes into it in her red motorcar—Edwina welcomes her old friend as her new roommate. But her idyllic hometown has a hidden sinister side, and when the two friends are drawn in, they decide to set up shop as private inquiry agents, helping Edwina to make ends meet and satisfying Beryl’s thirst for adventure. Now this odd couple will need to put their heads together to catch a killer—before this sleepy English village becomes their final resting place . . .